Hardik was provisionally suspended by the BCCI and the matter is still pending before the Ombudsman. "I have been doing that for the last four years now. That's my role in any team I play for. I have been practising at the nets the same thing. It is about the situation. You play according to situation and if you are smart enough, you will more often get the result you desire." He is expected to play a major role in this year's World Cup campaign and IPL seems to be providing a good preparation for him. 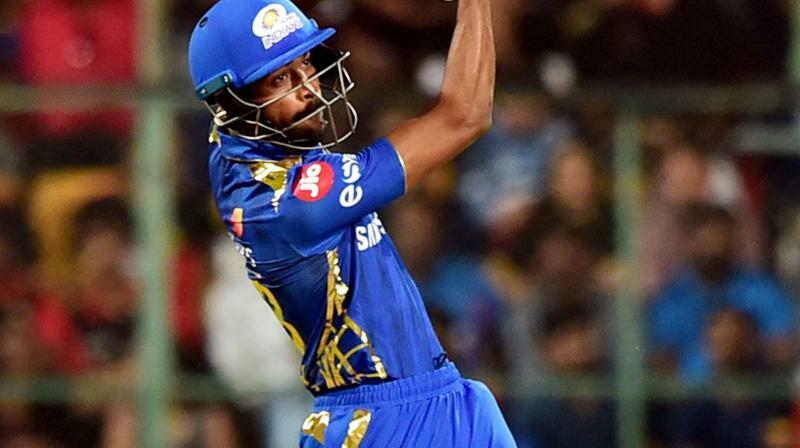 Looking ahead to the World Cup in England, Hardik said if the conditions were similar to those durig the 2017 ICC Champions Trophy, India will have the advantage.